A Fire Weather Watch and hotter temperatures are on the way in your forecast. 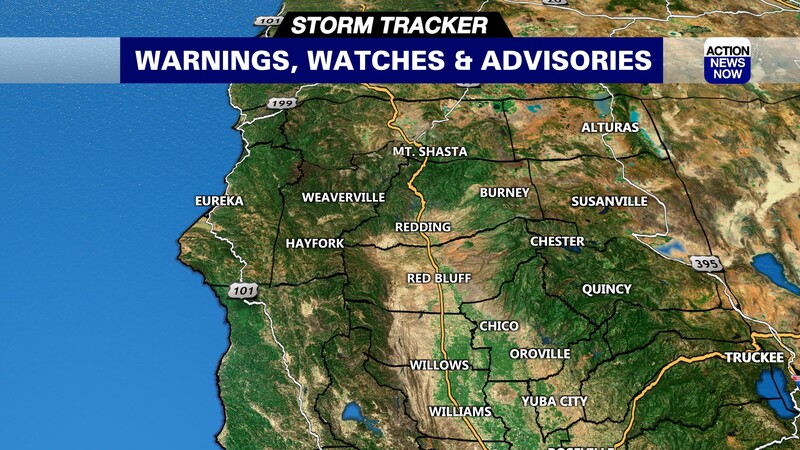 Warmer temperatures and elevated fire danger are on the way for the rest of your week across Northern California. 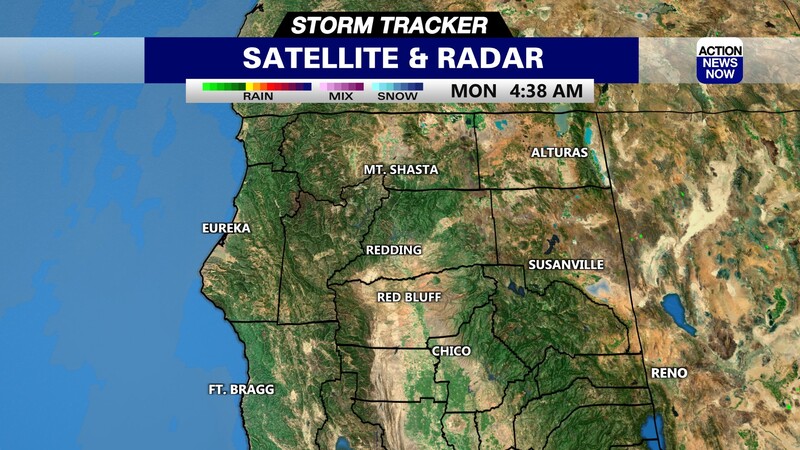 Skies are clear to mostly clear for the start of your Wednesday, and will stay sunny to mostly sunny today. Haze from active wildfires may become more widespread today, as winds pick up out of the North. 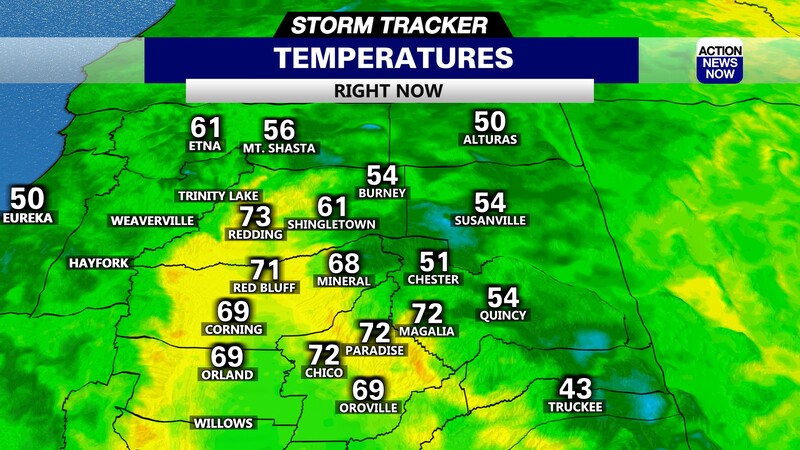 Temperatures have dipped into the mid 50's for most of the valley overnight, and mountain areas are starting out in the 30's to 40's this morning. Winds are out of the Northeast to around 10mph early today, and will pick up to around 15mph out of the Northwest this afternoon. Stronger winds will develop tonight into tomorrow, and that will contribute to the increasing fire danger. Humidity will also play a role in the elevated fire danger. Humidity did not recover all that well overnight, and is projected to dip into the 10 to 25 percent range this afternoon. High temperatures are projected to climb into the low 90's in the valley this afternoon, and into the 70's to mid 80's in the mountains. A Fire Weather Watch is set to go into effect at 7pm Wednesday evening, and stay in place through 5pm Thursday afternoon. Stronger North winds, low humidity, and hotter temperatures will all contribute to making Thursday the most concerning fire danger day of this week. Temperatures will be a few degrees warmer than Wednesday, and winds will gusts up to around 30mph out of the North. The gusty North winds will push haze from the active fires into the valley for the end of the week, and air quality will become more impacted on Thursday. Friday may actually end up a few degrees cooler than Thursday, as a cooler system passes through to our North. Valley areas are projected to range from the high 80's to low 90's from Friday through Sunday. The fall season officially arrives on Saturday evening, making Sunday your first full day of the fall season. There has been some changes to the longer range forecast for next week. The latest models are showing high pressure building out in the Eastern Pacific early next week, and that will result in dry weather and warmer temperatures through the middle of next week. Valley areas will end up back in the low to mid 90's from Monday through Wednesday.